The Lord of the harvest has send us 11 vibrant and zealous young women to do His work! 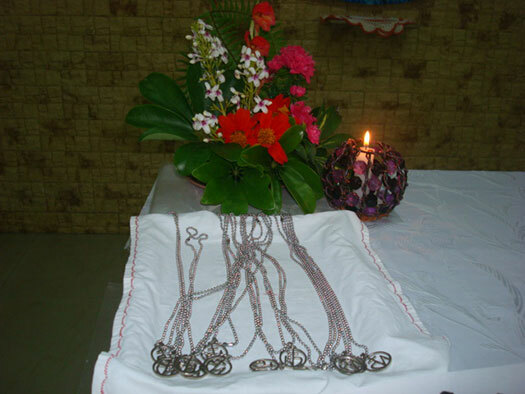 They hail from six States of the vast Indian continent. Among them 9 are for Assumption Province and 2 for the Visitation Province. We thank God for the gift of each of them. The Pre-postulancy program has been planned with a well detailed syllabus. July 3rd was a red letter day for the Pre-postulants as the day was awakened with the music of praise and worship. At 6:00 a.m. we had a special morning prayer followed by the Holy Eucharist. The celebrant, Rev. Fr. Rockey, a Capuchin, made the celebration a very meaningful one. 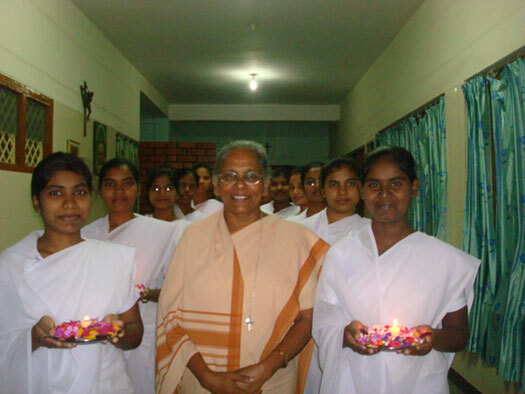 In the afternoon they had the recollection which began with a very inspiring session on the importance of prayer and mission by Sr. Mary Sandhya. 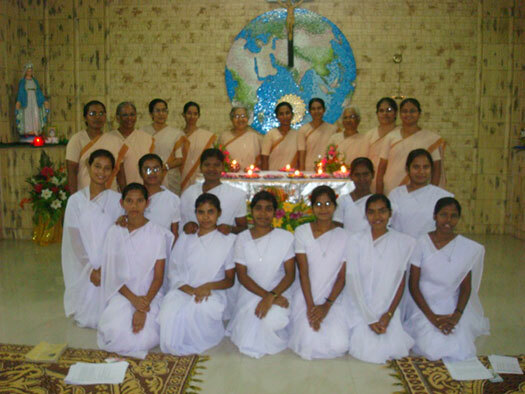 After that Sr. Mary Sneha lead them through the recollection. The entrance to the Pre-postulancy was at 6:30 p.m. in the Chapel during the adoration. 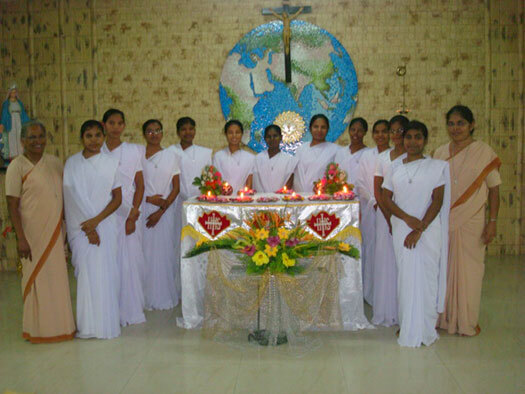 The postulants processed to the altar with lighted candles and placed them around the Eucharistic Lord as symbol of offering themselves to the Lord Sr. M. Sandhya prepared the special prayer service for this occasion. Towards the end of the adoration sister invited the candidates to receive the postulant’s medal. The function concluded with a delicious meal. Our Sisters from the three near by communities graced the occasion by their presence. We are grateful to each of our Sisters for the prayers and good wishes. 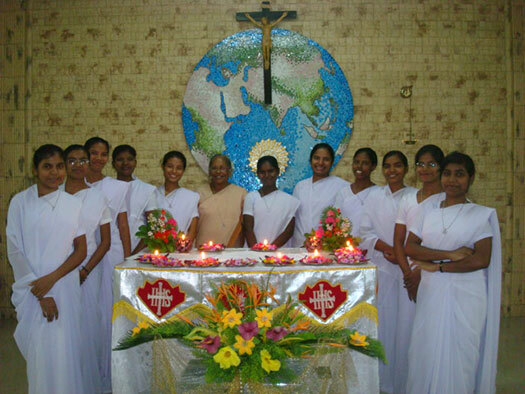 The Pre-postulants are ever grateful to Sr. M. Sandhya, Sr. M. Beena and all our Sisters by accompanying them with the assurance of love and prayerful support. 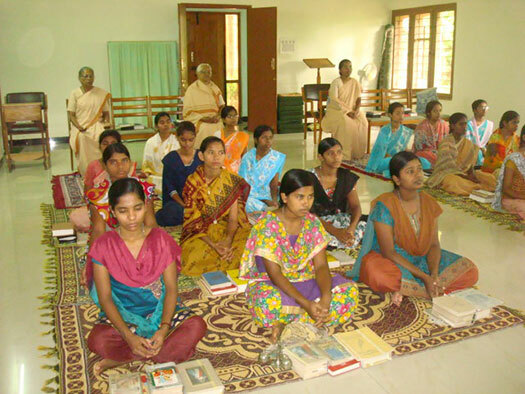 Meena Kujur, Sumani Beck, Swathi Talari, Monica P. Hansdak, Gracy Appavu, Wanmin Pdang, Asha Kindo, Ansha Kindo, Phulmani Murmu are from the Assumption Province. 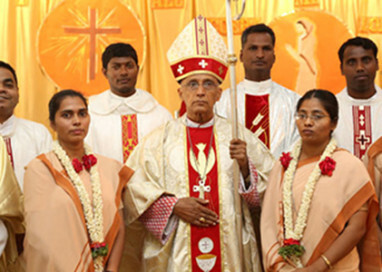 Geetanjali and Vijaya are from Our Lady of the Visitation Province.